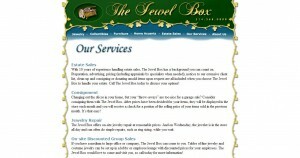 The Jewel Box address, phone, website, hours of operation, and more. The Jewel Box is a family-owned and operated store, run by father and son team Ralph and Rusty Hunt. Prior to opening The Jewel Box, Ralph owned and operated Ralph’s Fine Foods in Snider Plaza for 25 years. Rusty also worked at Ralph’s Fine Foods for many years, then gravitated to dealing in art, rugs, antiques and estate jewelry, first with a space in an antique mall. Then, he began conducting estate sales for customers and later opened a consignment store, Consignment on the Plaza, also in Snider Plaza. 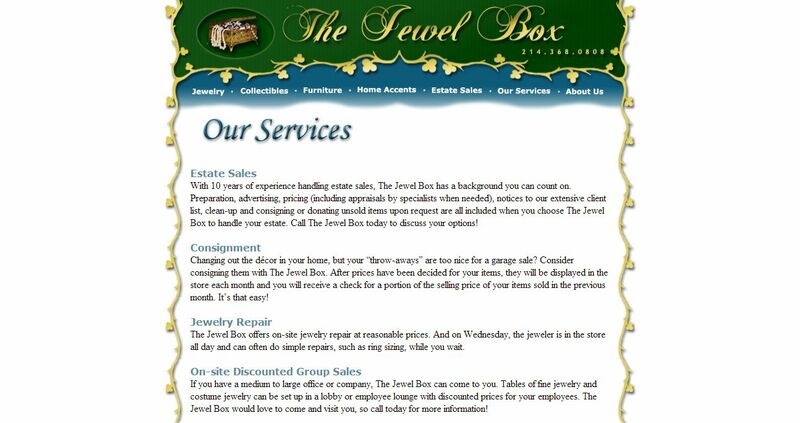 Rusty moved hisconsignment and estate salebusiness to The Jewel Box when it opened.